Let’s examine the health benefits of dark chocolate. Dark chocolate can be a healthy treat, as part of a balanced diet. Dark chocolate is also rich in antioxidants and can offer numerous benefits when enjoyed in moderation. 1. Rich in Nutrients. Choose a dark chocolate that is low in added sugar with a high cocoa content, of at least 70%. Quality dark chocolate is rich in fiber, iron, manganese, copper and magnesium. However, it does contain moderate amounts of caffeine and saturated fat, so again, it is best enjoyed as a treat. 2. Rich in Antioxidants. Antioxidants in food potentially disarm free radicals, which can cause damage in the body. Dark chocolate is full of organic compounds that function as antioxidants, such as flavanols and polyphenols. The antioxidants in dark chocolate may help reduce the risk for heart disease. 3. May be Heart Healthy. If you are looking for a treat that might be good for your heart, look no further. 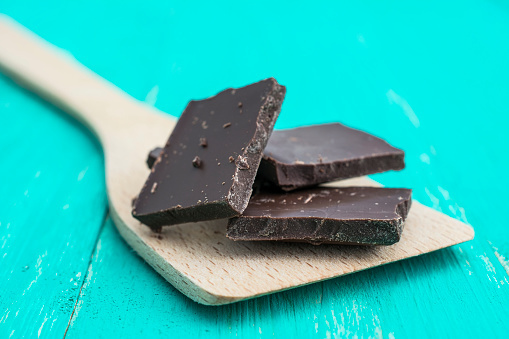 In several studies, dark chocolate appeared to lower LDL, or “bad cholesterol” and raised “HDL”, or good cholesterol” and improved insulin sensitivity. Insulin resistance is risk factor of many diseases such as diabetes and heart disease. There is considerable evidence that cocoa can provide many health benefits, and dark chocolate with a cocoa content of at least 70% is the best choice. Enjoyed in moderation, dark chocolate offers nutrients, antioxidants and can satisfy a sweet tooth. Join us at KareBoost Health for yoga every Tuesday evening and experience the health benefits of dark chocolate when you receive a FREE dark chocolate at the end of class! Do your kids have unhealthy eating habits? 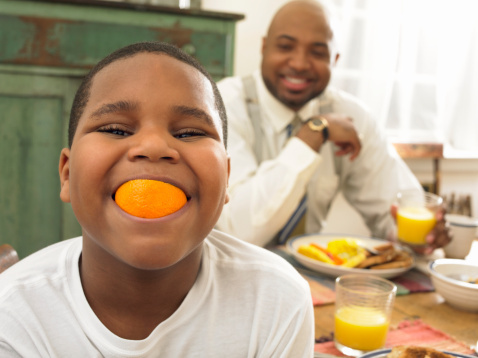 Teaching your kids healthy eating habits is giving them tools they will use throughout life. Kids who establish healthy eating habits tend to stick with them as adults, and research shows that children who become overweight are more likely to experience weight-related health issues as adults. However, what about those pesky unhealthy eating habits that have already been established? Luckily, change is always possible! Here are 3 ways to kick those unhealthy habits to the curb. Drop the Restrictions. Forbidding food does not work, and labeling food as “good” or bad” will just lead to more issues in the future. The more you restrict a food, the more tempting it will be to children. Instead, focus on adding in a variety of healthy foods, and offering sweets and other less nutrient-dense foods in moderation. Teaching kids that any food can be enjoyed in moderation will enable them to make healthy decisions as an adult. Make Healthy Options Easy. It can be difficult to make good decisions when you are hungry! In order to avoid unhealthy last minute decisions, keep healthy food prepared and ready to eat. Cut up fruit and vegetables and store them in the fridge, and let kids snack on them when hungry. Keep a drawer of healthy snacks ready. If your kids fill up on fruits, veggies, nuts and low-fat dairy, they will be much less likely to reach for that candy bar. Learn to Like New Foods. If your child really hates a vegetable, do not keep forcing it on them. However, there is such a wide variety of fruits and vegetables available that you can experiment until you find some your child likes. Venture into the frozen produce section as well to find more affordable, out of season selections. Make gradual changes, and over time, you might be surprised to find your child choosing healthier foods. Still struggling with unhealthy food habits? Consider working with our health coaches to find a sustainable eating plan that works for you and your family. Healthy eating can be enjoyable for the whole family! Have you considered Yoga For Stress Relief? Fall is nearly here, and with the change of seasons can often come new stressors and responsibilities. If you are finding yourself overwhelmed by stress this season, it might be time to give yoga a try. Yoga can offer us tools to manage stress, and help us learn how to cope with the stress of every day life. Here, 3 reasons to try yoga for stress relief. 1. Slow down. Often, we think the best way to manage stress is to do as much as possible all the time. However, this can have the opposite effect and make us even more stressed. Yoga offers an opportunity to slow down, and to notice where stress or panic occurs in the body. By identifying the physical feelings of stress, we can begin to notice our patterns and how we respond to stress. Becoming aware of stress is the first step towards reducing it. 2. Breathe. Controlled breathing is a fundamental part of yoga. Learning to control your breath can reduce stress by quieting the mind. Paying attention to your breath will also give your mind something to focus on, besides your to-do list. 3. Let go of judgment. Yoga teaches non-judgment towards yourself and others. Much of our stress comes from being hard on ourselves, or getting frustrated with others, often over things we cannot control. Yoga can teach us to let go of some of these judgments, and to be more compassionate with ourselves. Our yoga classes are ideal for stress relief, and we offer classes for beginners and advanced alike. We even have Yoga with Reiki. Join us at KareBoost Health to learn more about how yoga can help you better cope with stress. Let’s look at some tips for Exercising in Hot Weather. Summer is a wonderful time of year to exercise outside, but hotter temperatures also bring more safety concerns. If the body’s temperature regulation system becomes overtaxed, you or your kids could be at risk of developing a heat-related illness. Here, how to keep your family safe while enjoying the summer outside. If it is supposed to be an especially hot or humid day, maybe skip the long hike and opt for an indoor activity. 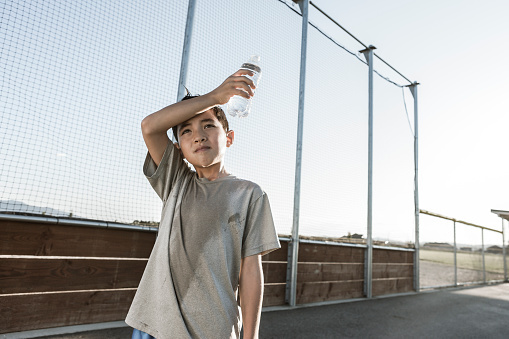 Kids, the elderly and those not accustomed to rigorous exercise are especially at risk for heat related illness on these hot days. Also, keep in mind that your moderate two mile walk may not feel like strenuous exercise, but can be taxing on the body during an especially hot or humid day. Make sure to stay hydrated throughout the day by eating plenty of water rich foods and drinking water. Watermelon, grapefruit, tomatoes, lettuce and other water rich fruits and vegetables will help your family stay hydrated and satisfied. Water is a great choice to stay hydrated and will move quickly through the digestive tract and into tissues. Sports drinks are usually not necessary unless doing strenuous exercise for over 60 minutes. Wear light-colored, sweat-wicking clothing. Look for fabric that includes UV protection, and always wear sunscreen. Sunburn decreases the body’s ability to cool itself, which is dangerous especially while exercising in already hot weather. Keep in mind that gear such as helmets and padding also increases heat- maybe save the bike ride for a cooler day, and stick to a shady walk. Stay safe and hydrated this summer with these tips, all while enjoying the beautiful opportunities summer offers to get outside. Fall- and more temperate days- are just around the corner! Come work with our health coaches on different exercise ideas.